Hey guys- it’s Jacqueline again! I’m happy to be back with you all for a second post this week since Sarah’s family is in town and she’s spending some quality time with them. Since spring officially arrived last week I’ve been in the mood to refresh every corner of my home (bar cart included). Who doesn’t love bringing life back into even the simplest of spaces after a lonnng winter? Even if it doesn’t quite feel like spring in the Midwest yet, I’m beginning to see the light at the end of the tunnel. The last time you saw my bar cart was probably when I revealed my moody and modern dining room a few years back. I usually switch it up for the seasons, but haven’t shared it until now. I figured spring was the perfect time to give you an updated look at this corner vignette. 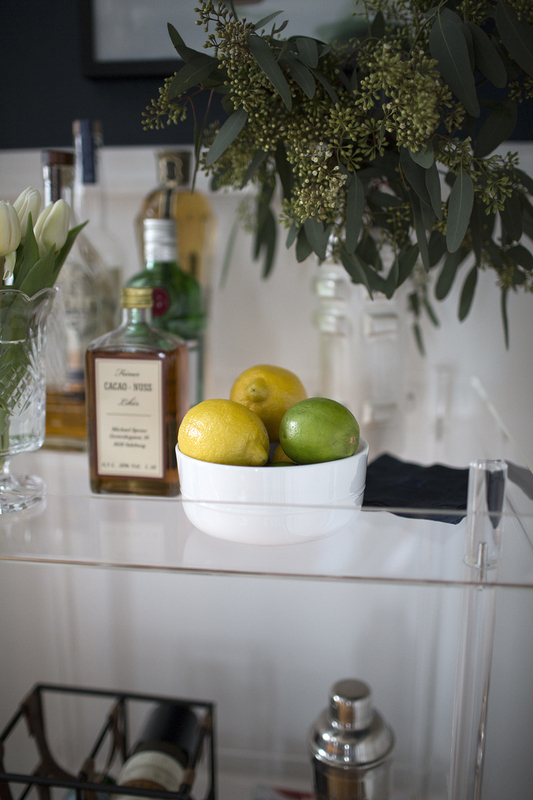 Click through to view some of my favorite items for styling the perfect spring bar cart. I’ll start by saying I get tons of questions about how I keep this bar cart in tact with a very active one-year-old. I’ll be honest…he does get into it (like everything else in my home). In fact, he loves playing with the cocktail shaker and glass bottle toppers on occasion. I don’t really mind because I’m usually right there watching him and if he starts doing something destructive I’ll intervene. However, I try to have the approach that if I let him get into something enough (with supervision of course), eventually he will lose interest in it. Does this mean I’m going to leave matches laying around once he’s older or leave something out I know isn’t safe? Of course not. BUT, it is very important to me not to sacrifice style just because we have a child- I want our house to still feel like our home. So, although it may require more attention while he plays and it can be more difficult at times, I think it is possible to have a well decorated home and children. My hope is that he will grow to appreciate the environment he lives in and will respect it by taking care of it (at least this is what I’m striving for). 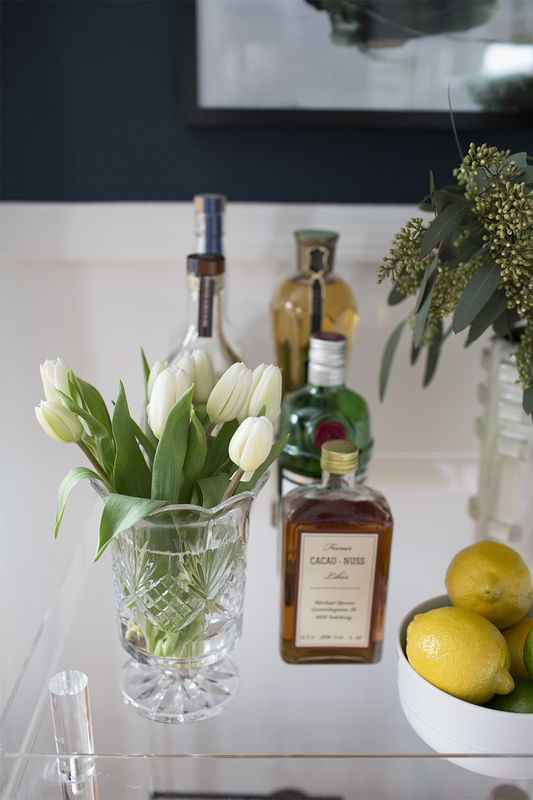 To update my bar cart for spring, I first added some flowers and greenery. If I had it my way I would have fresh flowers in every room of the house every week. Sometimes I splurge, but that sure would add up quickly week after week. 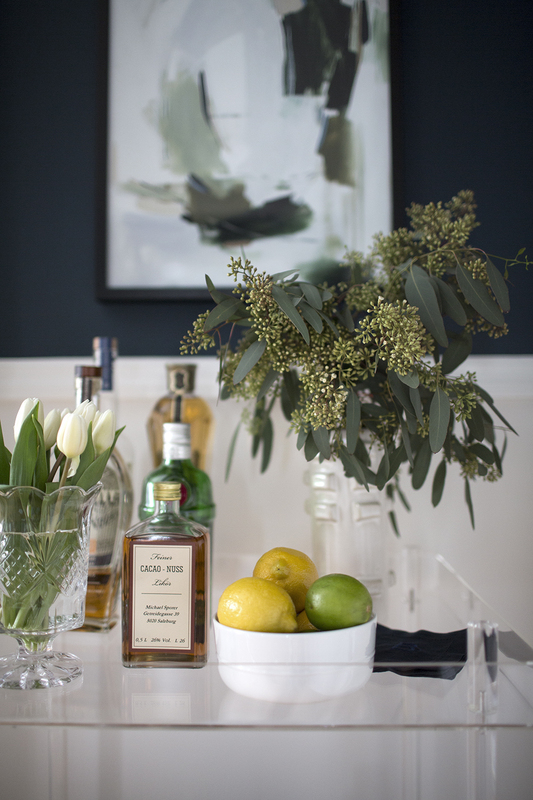 I like how the eucalyptus adds heights to the bar cart and ties in the art above. You also can never go wrong with flowers this time of year- tulips are the perfect spring touch to any space and instantly add life to a room. Next, I added some lemons and limes because who doesn’t love these as a garnish for your favorite spring and summer cocktails? The closer we get to summer, the more excited I get about happy hour at home and sharing a refreshing drink with friends or family on our patio. 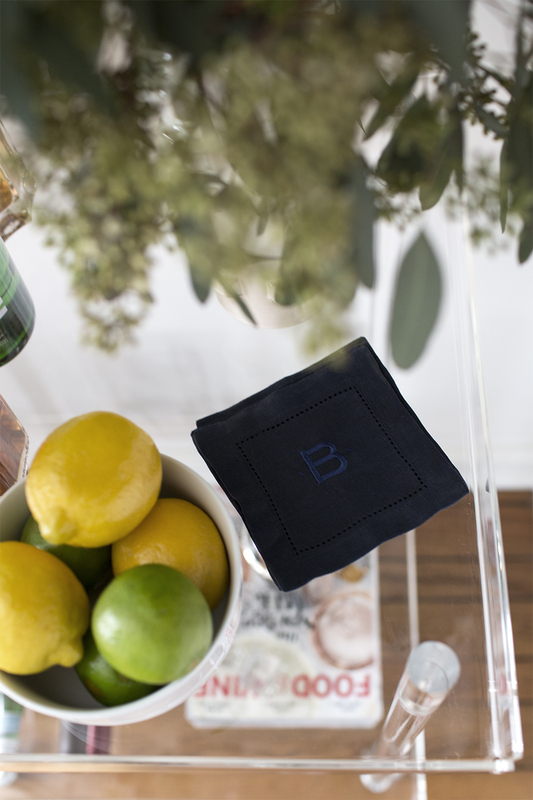 Sarah gifted me these adorable cocktail napkins (pictured below) a few years back and had our initials embroidered on them. 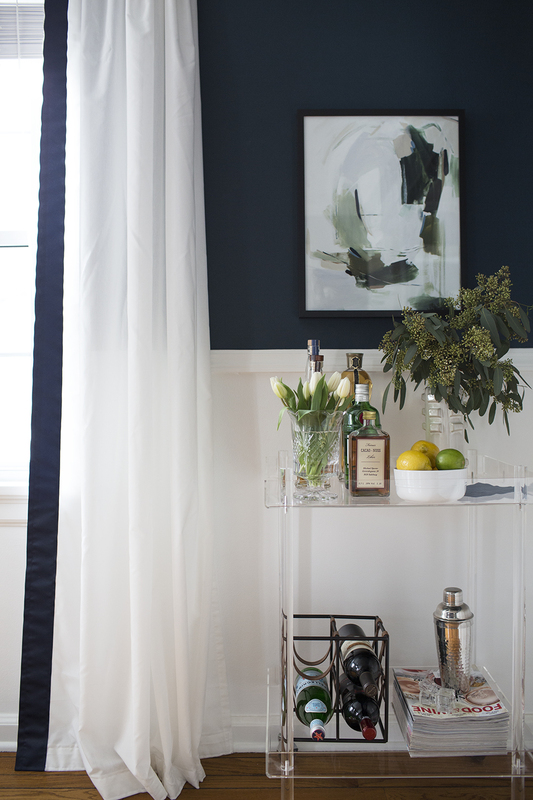 They look perfect styled on the bar cart against the Hague Blue walls. I really enjoy entertaining, especially once the weather changes and having this little cart is super functional and beautiful in our dining space. Last but not least, I gathered some of our favorite Food & Wine magazines that we use regularly for meal planning and drink ideas. Every year I go through them and purge ones we aren’t using, but I love using old magazines for styling! They not only help to fill void space but they help add height to items you want to display on top. I picked up these vintage glass bottle toppers while antiquing a few weeks ago. I’m not quite sure what I’m going to use them for yet, but right now they look great on the bar cart- I also love their fun shape! 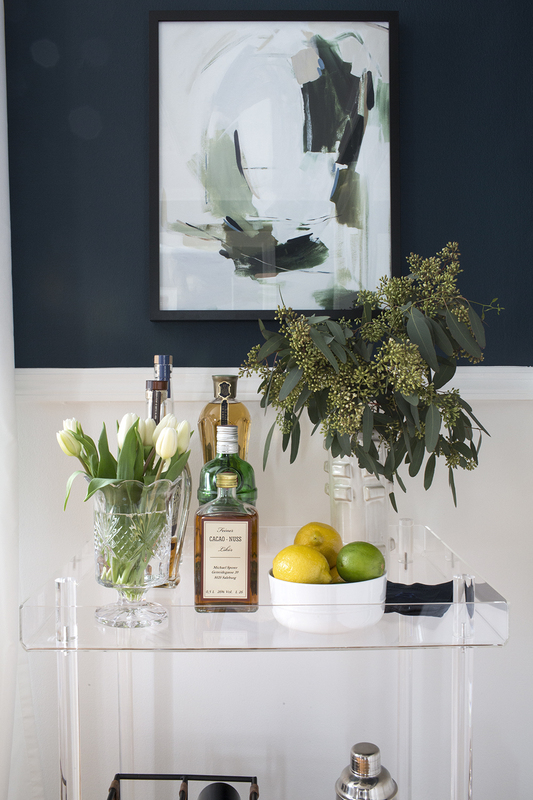 If you’re hosting any parties, cookouts, or family gatherings this spring & summer, there’s nothing cuter than a well-styled bar cart! I also like them inserted into rooms you wouldn’t necessarily expect… like an office, basement / media room, or master suite. They just feel like a little luxury and are a good reminder to have fun and enjoy the smaller things (like a fancy cocktail). 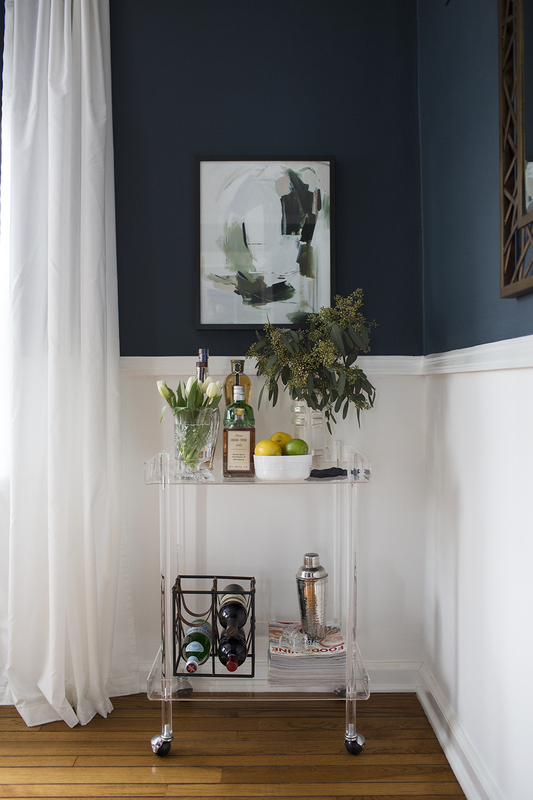 At the end of the day, I love how our spring bar cart turned out! Between Sarah and myself, we sure have done our fair share of bar cart posts around here. Ha! Clearly we appreciate a good drink and enjoy hosting. 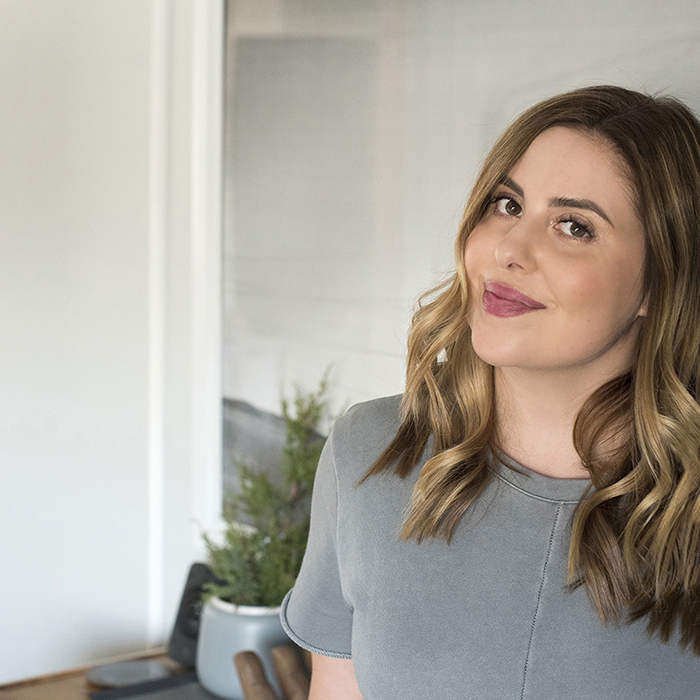 See Sarah’s ultimate bar cart checklist here or shop for affordable barware on Amazon here. 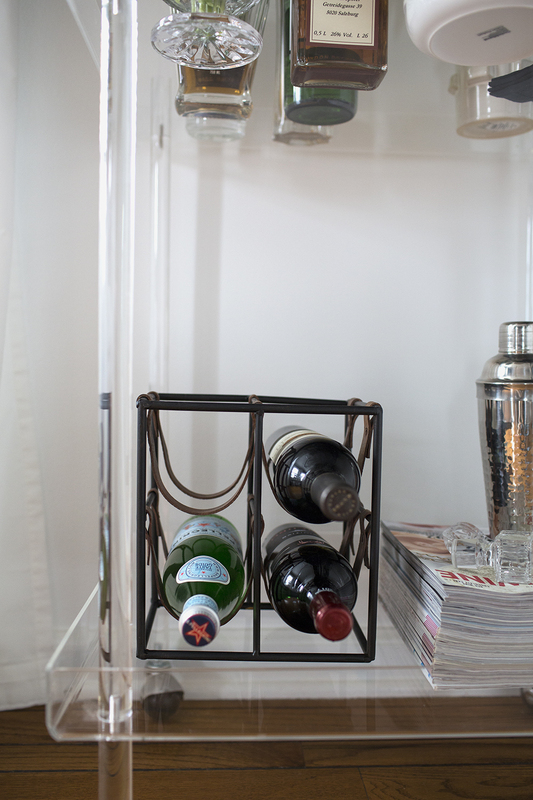 If you’re wondering about any of the sources in my space, you can shop my bar cart below. Cheers and Happy Spring to you all! 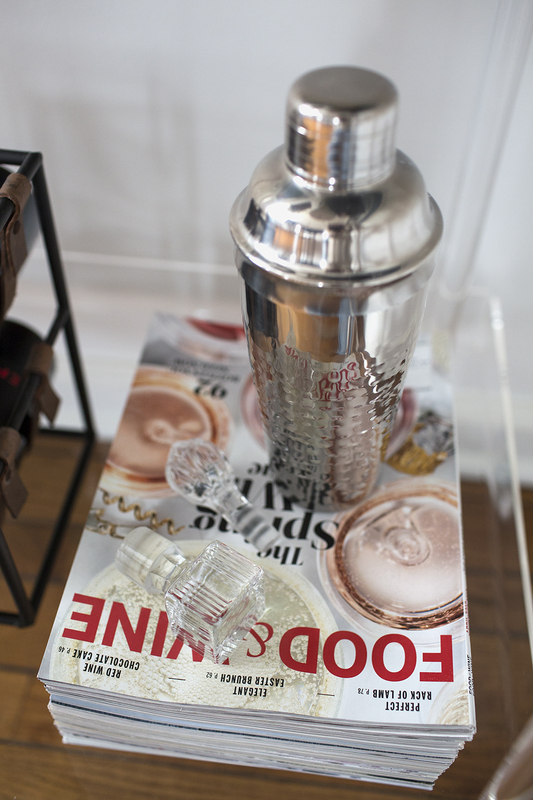 A bar cart in the office! I wonder what my principal would think of that! 😉🤣 Pretty! Haha! I was thinking bar cart in the office = mad men vibe… definitely wouldn’t work in a school system! HA! I really appreciate you sharing your thought process on decorating with a little kid around! Thanks for sharing! I’m glad you enjoyed the post, Danielle. It’s definitely not perfect around here but I strive for neatness everyday…mainly for my own sanity. Ha! It feels good to have my home feel like my own (even with a baby around).